Is catastrophe the only cure for the weakness of radical politics? 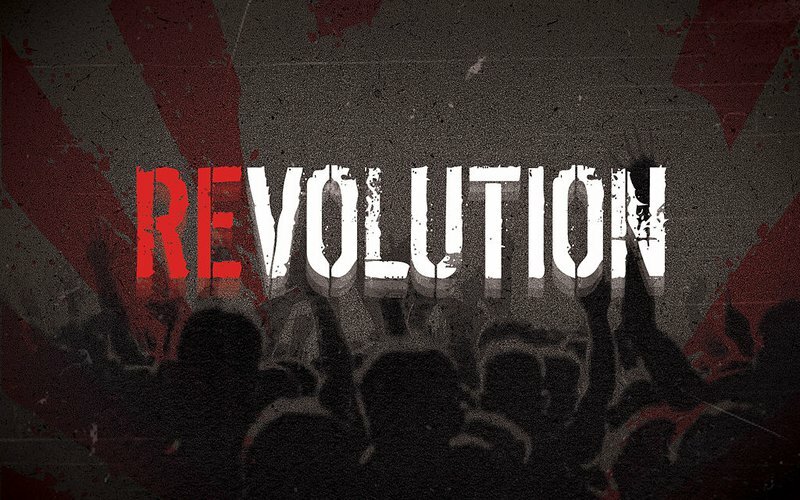 If we want a future worthy of the name we need a different form of revolution. Credit: By LatheeshMahe (Own work), CC BY-SA 4.0 via Wikimedia Commons. ‘Know thyself,’ as they say, or pay a hefty psychic price for getting lost in forms of action that distance us from our deepest subjectivity and bury us in pragmatism. We’ve already killed off utopian thinking argues Fredric Jameson, America’s leading Marxist literary critic, and for the darkest of psychoanalytical reasons: fear. Utopias are of course unreal, but they are necessary imagined futures. They can snap us out of our present-day socio-political malaise so that we can envision alternatives, build the institutions we need to get there, and inspire heroic commitment. What to do? Withdraw from the Big Picture, from mass solidarity organizations and party politics? Seek solace in the personal, the intimate, and in Twitter-based virtual organizing? Wait for the world to collapse? Herein lies the tension between today’s reduced politics of the possible and those who still seek solutions in the seemingly impossible politics of the future. If the cause of this impasse is in our heads, as Jameson suggests, then overcoming it requires, as he also says, a “consciousness revolution.” But what do such revolutions look like, and how do they happen? In his book Cosmopolis, Stephen Toulmin describes the consciousness revolution that launched the modern world. He dates it to 1637, the year in which mathematician-philosopher René Descartes published his Discourse on Method—“I think therefore I am.” What caused this revolutionary shift? The answer, says Toulmin, is catastrophe, a key event which opened up the space for a radical break in thinking. In this case there were two such events: first, the shocking assassination of Henry of Navarre, France’s popular king—Europe’s ‘9/11’ that ended France’s liberalizing humanist regime and threatened civil war; and second, the Thirty Years War over religious beliefs and political infighting that destroyed central Europe. Digging into Descartes’ past, Toulmin discovered that the young philosopher was terrified by these catastrophes. All he could make of such warring over religious and political ideology was that the world is impossible to live in if no one can agree on what is true. Diversity is death. So he set his formidable brain to find the one indubitable foundation for determining Truth: our own minds. Once set upon his anxiety-saturated quest for certainty, Descartes turned his back on earlier writers like Erasmus, Grotius and Montaigne who aimed to build a tolerant and relatively peaceful proto-liberal Western European society in which diversity is life. They believed that space for different and conflicting beliefs and opinions protects us from error, and that proper manners in debate, discourse and political leadership require trust, respect, open-mindedness, and skepticism of any absolute claims to the truth. Descartes repudiated these arguments and raised skepticism to an art form, refusing to accept any claims as true unless they met his own test of precise mathematical rationality. The only way to confront fear and political chaos, he decided, is to remain firmly in control. Only one truth could not be doubted: I think therefore I am—Descartes’ rational mind. From this inward-looking foundation the superstructure of a new, rational world could be built to replace both the theological and the open-minded, proto-liberal worlds that came before. Descartes quickly changed Europe’s mind, and revolutions—cultural, political, scientific, and industrial—followed in train. Cartesianism defined the long Age of Revolution into the twentieth century. What ended it? More catastrophes, this time in the shape of world wars, economic depressions, the Holocaust, Hiroshima, the Gulags and apartheid. These politico-ideological events disabused us once and for all of the power of universal rationality as an unqualified force for good. It took a couple of decades after 1945 for a new cultural revolution to gather energy. Immanuel Wallerstein cites the global turmoil of 1968 as the apotheosis of a world-wide shift in consciousness which undermined the two great ‘rational’ legacies of the modern age: Western liberalism and revolutionary socialism. The new sensibility that emerged shook confidence in the received tradition of Western modernity. In doing so it disabused many people of ‘rational,’ abstract ‘big picture’ master narratives, perhaps generating a loss of nerve even to consider new ones in the process. Popular attention shifted from the economic concerns of traditional politics to the “cultural turn” as it was called—making the ‘personal political’ and vice versa. The 1960s ‘revolution’ was far from complete or uncomplicated. In shifting attention to the cultural register and rightly giving voice to women, minorities and emerging nations long silenced by patriarchy, racism and imperialism, attention was diverted away from the socio-structural register, from powerful economic and technological regimes that continued to run unchecked. In the decades that followed, even many leftists seemed to succumb to Margaret Thatcher’s chilling claim that “there is no alternative” to the anti-utopian quicksand of neoliberal capitalism. The long half-century since 1945 came to be called ‘postmodern,’ but if ‘postmodern’ means prioritizing the cultural register over the transformation of capitalism then we are heading blind into the next catastrophe. Can there be a different ending to this story? Perhaps, but it includes retracing our steps through Descartes’ 1630s ‘revolution’ and building a real alternative that integrates both personal and structural concerns. Toulmin concludes that Descartes didn’t invent modernity—he merely diverted a growing liberal consciousness movement into a strict, puritanical, radical rationalism. To overcome this distortion we must recover the tolerant, open-minded, well-mannered speculations of proto-liberal cultural leaders before Descartes, but three ominous legacies of Cartesianism’s imperial hangover still stand in the way. Second, skepticism. Descartes’ ‘method’ was radical doubt: question everything and believe nothing until it presents itself to the mind in the form of rational proof. Critique, critical theory and a hermeneutics of suspicion are all useful tools, but when they are our only tools there’s a danger that nothing survives, even reason itself, as postmodern philosophers have taught us. Critique claims to ‘know’ what’s wrong with everything, but it teaches us nothing about how to build a positive—let alone utopian—project. Third, fear. Descartes’ world was bloody. He was afraid of it. He assumed the world was violent in its very being and can only be survived through strict rational control—a reversal of the Medieval understanding that the world was made good and distorted by sin, but is otherwise correctable through wisdom and fellow feeling. These three legacies are dangerous, not just because we are stuck in them, but also because they mask a deeper anxiety that we don’t want to face: the drive to be in control and assert moral self-certainty that shows itself in a judgmental puritanical perfectionism; in the desire for small, controllable ideas; and in a radical mistrust of others’ intentions, ideas and plans for action. These anxieties stop us from imagining a workable future beyond postmodern neoliberalism—blocking us from letting go in order to trust one another, from recovering the confidence to revive the power of big ideas and broad-based organizations, and from re-embracing solidarity and a functioning democracy. We can wait for another catastrophe to force us to change the way we think. Go ahead—grab the gas mask, light the fuse and see what survives. Or we can do the hard work of facing ourselves with honesty and imagining our way out of this impasse. We must do this together, but the struggle begins in our own minds and in our communities—only later will it add up to another consciousness revolution. No one can tell us how to do it. It will take time.